Step inside this delightful holiday home with modern interiors and cosy accommodation. Aldeburgh is a premier seaside town on offer in Suffolk offering award winning fish and chips, beautiful stretch of beach and shops galore. Size: Sleeps up to 6, 3 bedrooms. Nearest beach: Less than 0.1 miles. Nearest amenities: Less than 0.1 miles. 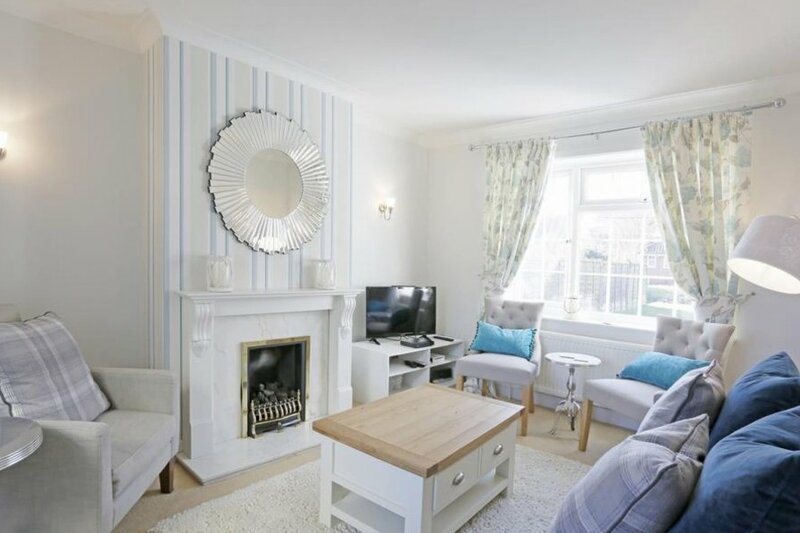 Rooms: 3 bedrooms, 1 bathroom, sitting room, dining room, kitchen, utility room, cloakroom. Beds: 1 king, 1 double, 4 single beds (only 2 of which are available to use). Utilities: Electric oven and five ring gas hob, American style fridge freezer, dishwasher, washing machine. Standard: Kettle, toaster, iron, microwave. Outdoors: Small front garden and larger rear garden with patio and garden furniture.